Excel is best explained as a life skill! You need it, I need it, we all need it! This software has multi-functional and multi-purpose tools for industries all throughout the occupational spectrum. This Microsoft program allows for calculation, computation, and efficient documentation of monstrous amounts of data. Let us check out some fundamentals of Excel and establish why it is such a life-saver for beginners. 1.Spreadsheets: A spreadsheet in Excel is the most important part. Officially called a worksheet, a number of these go on to form a workbook. Spreadsheets consist of columns and rows which have cells within them. Cells are where all the magic (as in input of data) happens. Fun fact: Each spreadsheet has over 17 billion cells! 2.Interface: MS Excel’s toolbar is not only customizable, it is also vast and consists of multiple options and functions. This interface has a grid-format that makes for better organization. Home, format, view, layouts – the Excel toolbar caters to a variety of functions, making the interface a fairly accessible one to the user. 3.Sorting and Filtering: This is an excellent management tool in Excel. Sorting and filtering will help you to isolate and highlight the data that you need the most. For e.g., you have a list of exam scores in front of you and wish to see which students have scored the most – sorting and filtering will help you see the data in ascending or descending order. 4. Mathematical functions: This is probably the first time someone will tell you that math is easy! Excel has a range of basic and advanced statistical functions – conditional sums as well as trigonometric functions that do most of the work for you. All you have to do is punch in the numbers with the appropriate function’s abbreviation and you’ll get the answers. 6. Keyboard shortcuts: This one has got to be the most important feature of Excel! Assuming one needs to work faster and with better efficiency, the multiple shortcuts provided by Excel are really helpful. Shift + F11 will insert a new worksheet for you and Ctrl + ; will insert the current date in the selected cell. You’ll be happy to know that there are more than a dozen of these shortcuts that you can get familiar with through an advanced excel training! 7. Data validation: Excel focuses on minimizing as many errors as possible. The function of this feature is to check whether the data put in by the user is valid and that it makes sense. An error alert will appear on the screen as soon as the software detects that a value has been entered that isn’t part of the allowed data list. 8. Excel macros: Save the best for the last! Excel macros use the Visual Basic for Applications (VBA) code to automate documents and files. Excel macros perform all the predictable and repetitive tasks for you and enhance your overall Excel experience. Why is Excel such a popular choice? 1. Beginner-friendly: Its impressive learning curve and universal applicability make it perfectly suitable for a beginner to learn MS Excel. Excel is the go-to choice even for seasoned professionals and that’s why it has become a standard software which runs on all platforms! 2.Planning tool: Even though many people use it for statistical and data-related functions, Excel isn’t bound to just this. With its spectacular date and time functions, Excel is great for creating plans, timesheets, schedules, as well as reports. 3. Intelligence: The autofill feature in Excel predicts and fills in values in the ranges of cells that you have selected – think of it as an advanced copy-paste feature. Excel’s newest addition – insights – analyses your data, senses patterns, and projects insightful information in the form of visuals. 4. Visualization of data: Excel has more to offer than just spreadsheets. With a range of options of pie charts, line graphs, bar charts, clustered charts, the list is endless. Excel courses help you in optimizing charts and graphs so that your data is comprehensive as well as understandable. 5. Excel Online: With this version, you can work on Excel in your browser. Additionally, you can also edit and share sheets with anyone you like. MS Excel Online assures you total security and the same functionality as the offline version. 1. Accountants: Excel started out as an application for the better management of finance and accounts. Excel has specialized functions and templates that create balance sheets, helping the accountants to keep a tab on cash flows, budgets, and much more. 2. Business managers: Excel is the everyday staple of business managers. Businesses need to store huge amounts of important data and information, and this is where Excel plays its magic. It also helps the managers to keep a track of investments, customer data, as well as their sales records. 3. Market analysts: Some advanced Excel features such as pivot tables, advanced filters, and even the basic table formatting functions are essential for market analysts. It helps them crunch and interpret data by acting as a great alternative for a database and provides powerful analysis. 4. 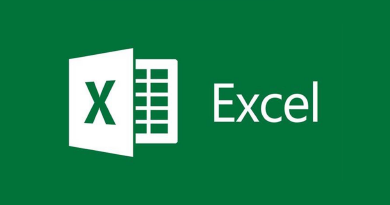 Educators: Using Excel worksheets solves many day-to-day problems for educators so that they stay at the top of their game! They use it for creating lesson plans, maintaining scorecards, tracking performances, etc. Are you wondering how to use MS Excel and manipulate data like an expert? We’ve got your back – go ahead and join Internshala Advance Excel Training! You have also earned an additional 10% discount for your curiosity! Please visit https://internshala.com/internships/internship-in-kolkata for all the internships available in Kolkata. You may also look for work from home options (https://internshala.com/internships/virtual-internship). If you need assistance, please write to us at woman@internshala.com. Actually, Excel sheet is used for maintaining any kind of database for any particular event. The users must familiar and also apply all the necessary techniques to access this field efficiently.